Posted November 16, 2015, in Events, News, Seminars. Institute for Social Policy, Housing, Environment and Real Estate, School of the Built Environment, Heriot-Watt University, Edinburgh, Scotland, U.K. 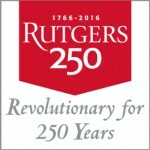 This symposium would not have been possible without the generous support of: The Centers for Global Advancement and International Affairs (GAIA) and the Edward J. Bloustein School for Planning and Public Policy at Rutgers University-New Brunswick; The Center for Law in Metropolitan Equity (CLIME) and The Joseph C. Cornwall Center for Metropolitan Studies at Rutgers University-Newark; The Department of Sociology, Anthropology & Criminal Justice, the Office of the Dean of Arts & Sciences, and the Office of the Chancellor at Rutgers University-Camden; The Department of Community Development Studies and Education at the Federal Reserve Bank of Philadelphia. Page last updated by CURE at 2:10 pm November 16, 2015 . This page was printed from http://cure.camden.rutgers.edu/2015/11/16/symposium-on-housing-segregation-and-poverty/ at 8:59 AM Saturday, April 20, 2019.